Today as I am writing to you I am so excited. This week we are preparing ourselves to take on a spiritual journey. This is a journey to Edinburgh where we are meeting to gather for our annual Esther Banquet Conference. This Friday we are going to the Scottish Mountains for a time of prayer and I believe that for all those who are determined and have decided to take this journey. God is going to move in a mighty way. After last Sunday’s service, The Spirit of God has been showing me, many great things that are about to happen in your life. This month things are going to become easy! Things are going to become so easy you are going to wonder what you did to deserve it! Yes God is going to bless you beyond measure and He is going to give you rest. Mark my words you will experience sweatless victory! 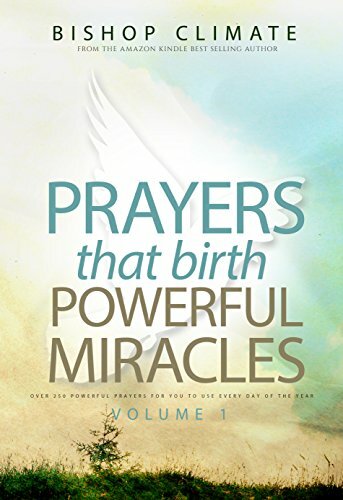 CLICK NOW TO RECEIVE PRAYERS THAT BIRTH MIRACLES! This week and this month there will be special favour aligned for you. God is going to sustain and provide for you. I see a special wave of Glory shining upon you. Sunday I shared a new name of God El Hakabodh, I have the teaching below for you where you can discover more about this name. You see because of this anointing, The glory of God is going to be shining in your life. Things are going to change, things are going to be beautiful and great. This week tap into the glory of God and this month God is going to do something wonderful in your life. CLICK NOW TO DOWNLOAD – ARISE AND SHINE THE GLORY OF GOD IS UPON YOU! Tuesday 5th February Kingdom Seniors at 7:30PM! Come for networking and biblical principles for all seniors. Join us Friday 8th February All Roads Lead to DAY 1 Edinburgh Esther Banquet! We also have our Miracle Service in London! Come and hear instant testimonies of healing, breakthrough and restoration. Super Sunday 10th February 2019! Thank you man of God for your prayers and the spiritual meal you always serve us with. I’m blessed. Pray for my victory at my work place.